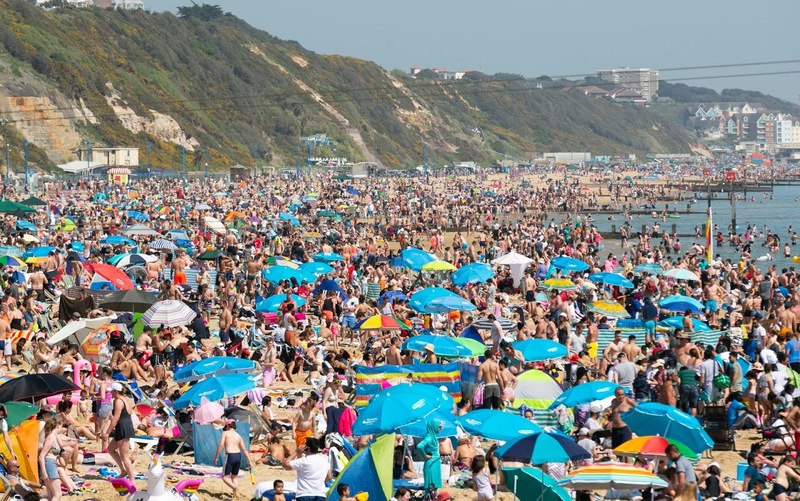 Bournemouth beach is packed with sun seekers during the record breaking May Bank Holiday. 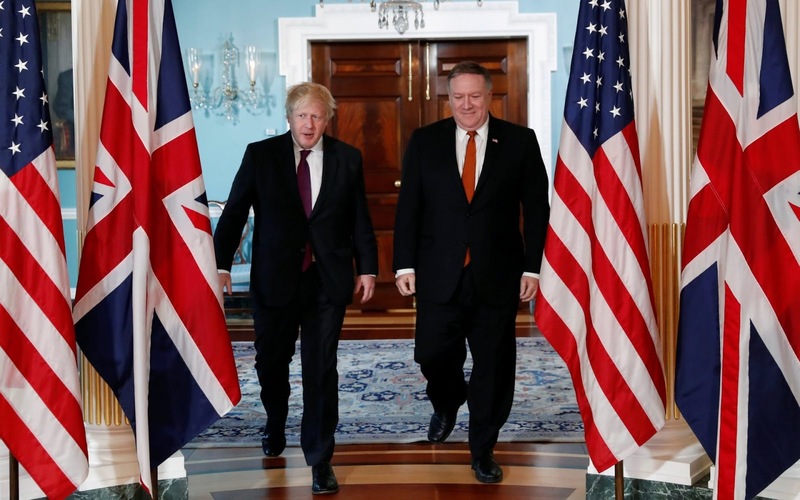 U.S. Secretary of State Mike Pompeo meets with British Foreign Secretary Boris Johnson at the State Department in Washington. 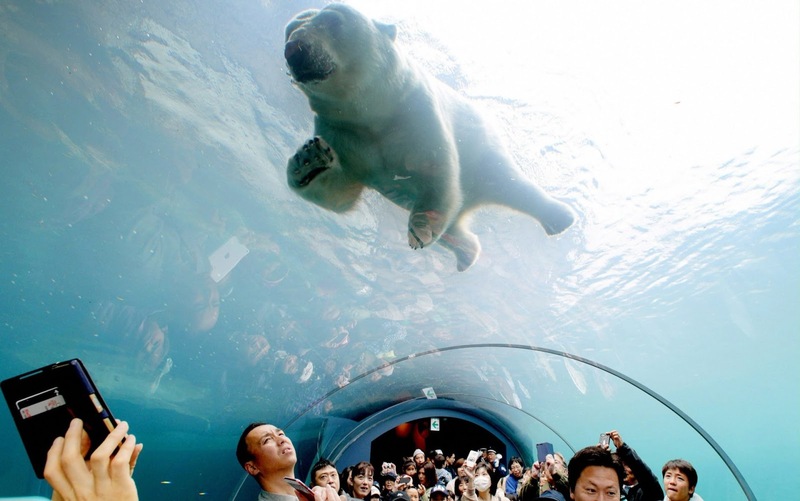 Zoo visitors look up at a swimming polar bear from the underwater tunnel at Maruyama Zoo in Sapporo, Hokkaido, Japan. 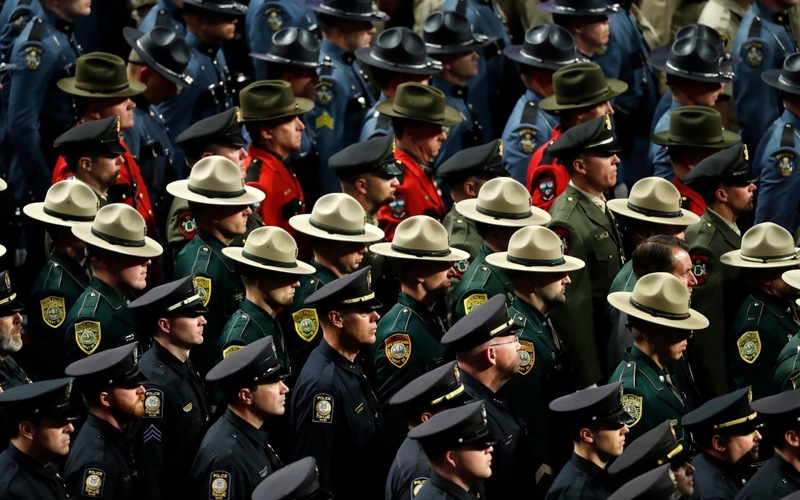 Hundreds of law enforcement officers attend the funeral Cpl. Eugene Cole at the Cross Insurance Centre in Bangor, Maine. Lara Mckenzie, Jenna Vivers, Ralitsa Balkanska and Iliriana Lleshi sunbathe near Hampstead Heath Mixed Bathing Pond in north London as temperatures hit 28C on the hottest May bank holiday since 1999. 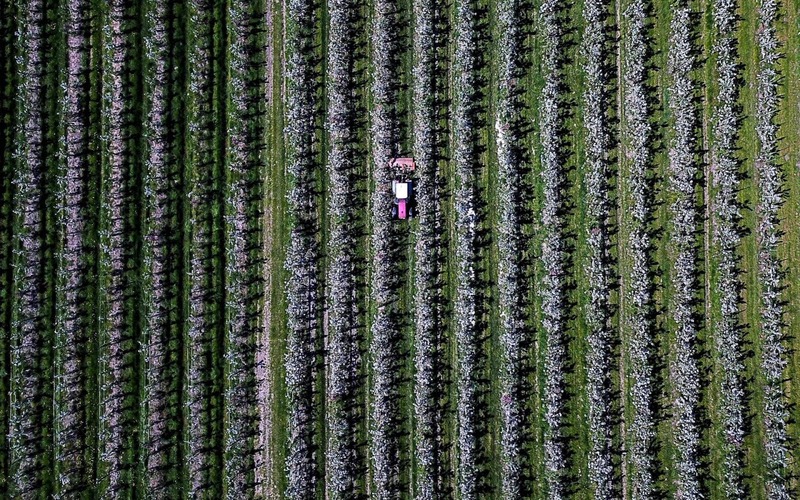 A tractor drives through an apple orchard in Haselau, northern Germany. 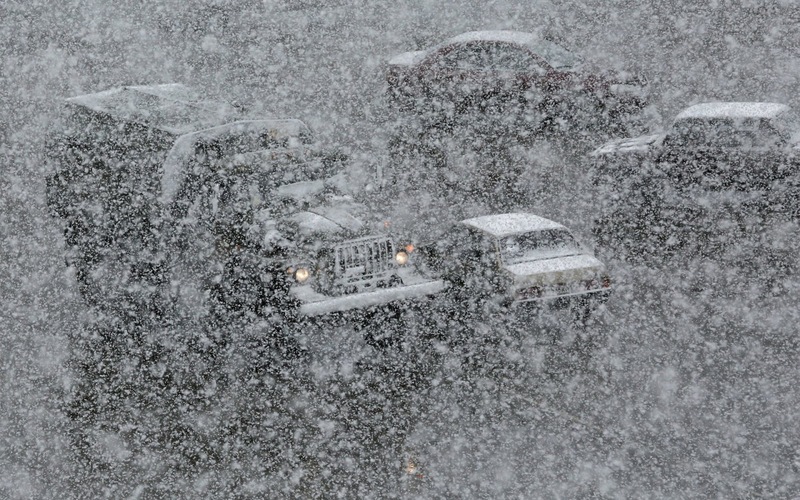 Vehicles drive along a road during a heavy snowfall in the Siberian town of Divnogorsk, Russia. 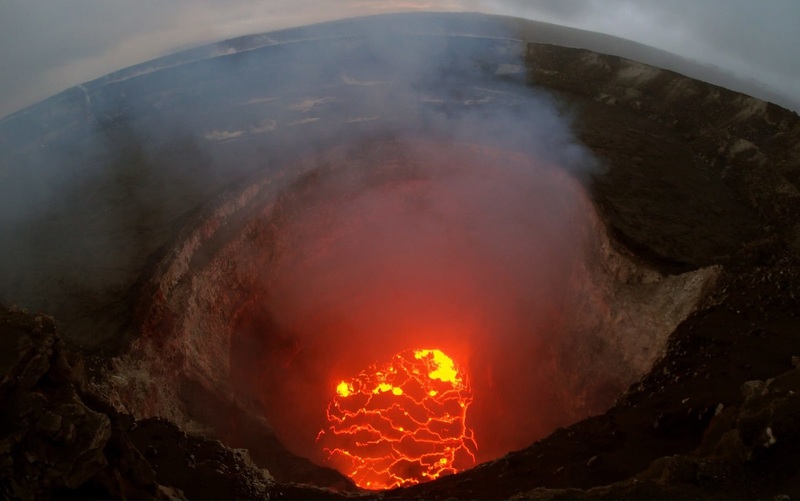 The summit lava lake is reported to have dropped in levels after the eruption of Hawaii's Kilauea volcano near Pahoa, Hawaii. The governor of Hawaii has declared a local state of emergency near the Mount Kilauea volcano after it erupted following a 5.0-magnitude earthquake, forcing the evacuation of nearly 1,700 residents. 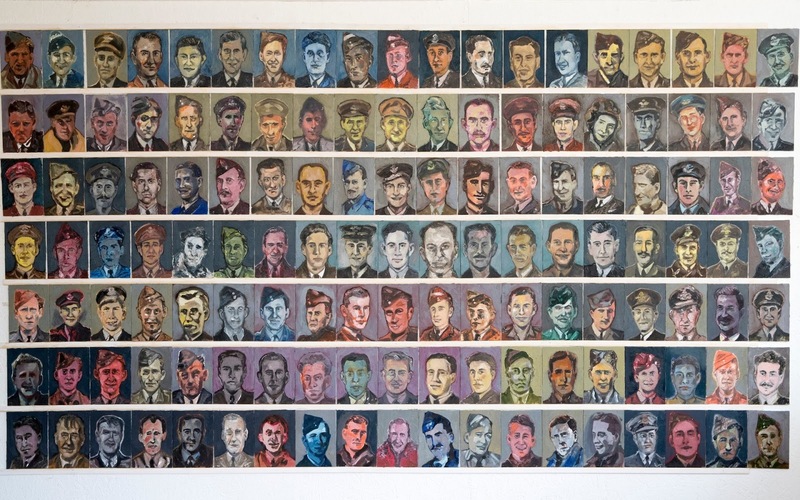 Artist Dan Llywelyn Hall has painted the portraits of the aircrew men of the famous Dambusters mission . Dambusters Reunited - Reuniting the Dambusters for the 75th Anniversary is a historic portrait exhibition that seeks to reunite the last surviving British Dambuster, Squadron Leader George 'Johnny' Johnson MBE, DFM, now aged 96 with his 132 squadron members. 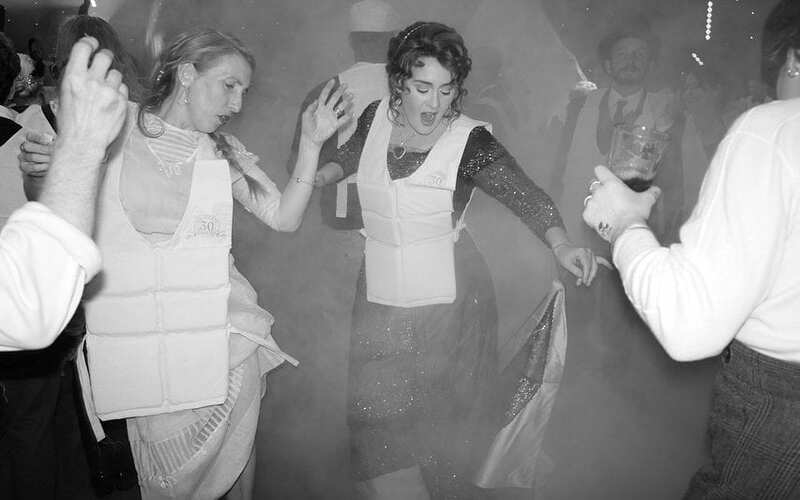 Adele celebrates her 30th birthday in style, dressed as Rose DeWitt Bukater as played by Kate Winslet in the film Titanic. 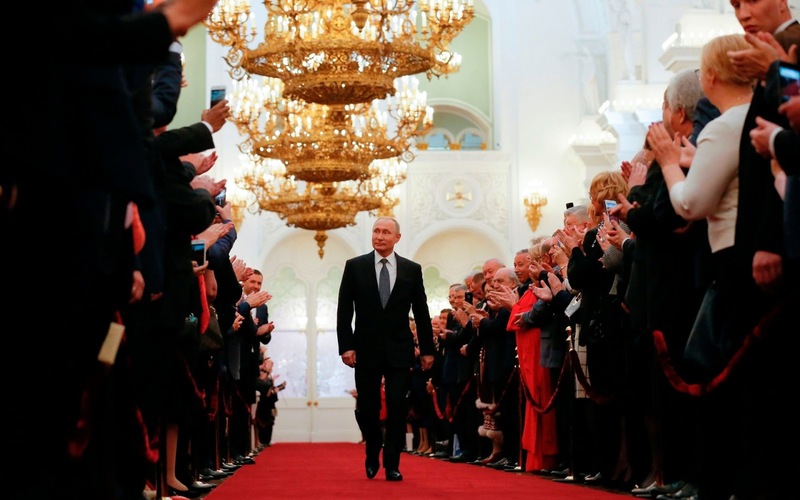 Russian president-elect Vladimir Putin walks to take the oath of office during a ceremony at the Kremlin in Moscow. 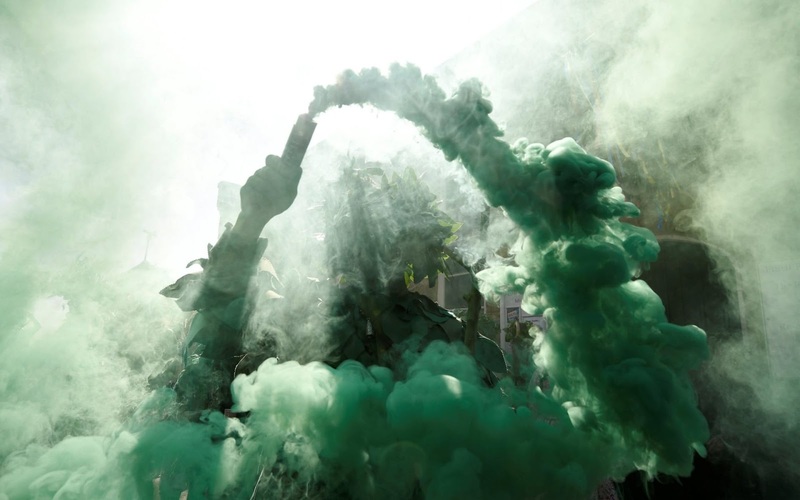 A participant takes part in the annual May bank holiday "Jack In The Green" parade and festival in Hastings. 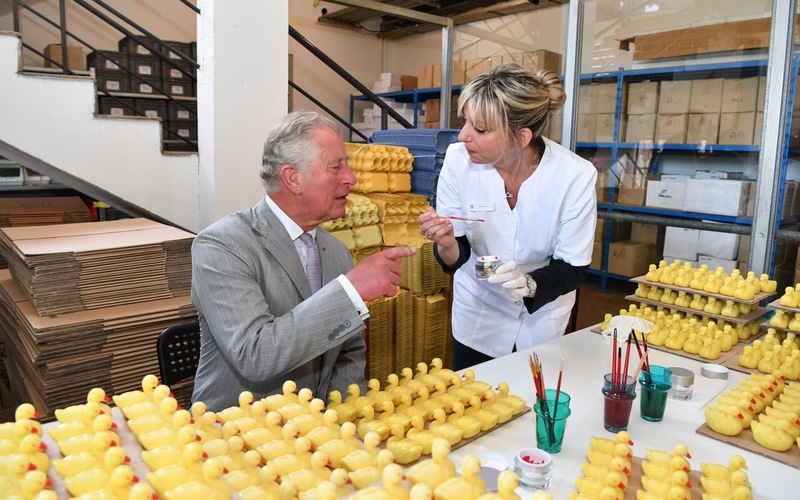 Prince Charles at the Fragonard perfume factory in Nice, France. 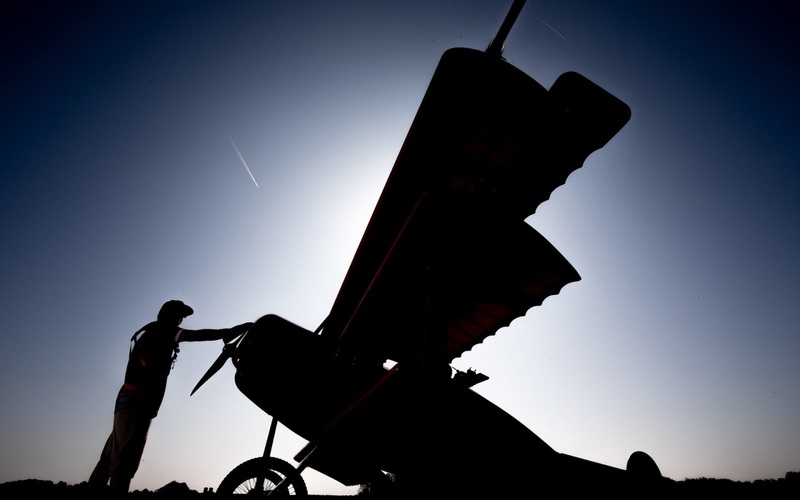 Steve Carr stands with his 65% build size a Fokker DR1 Trie Plane at the East Kirkby Airshow in Lincolnshire. 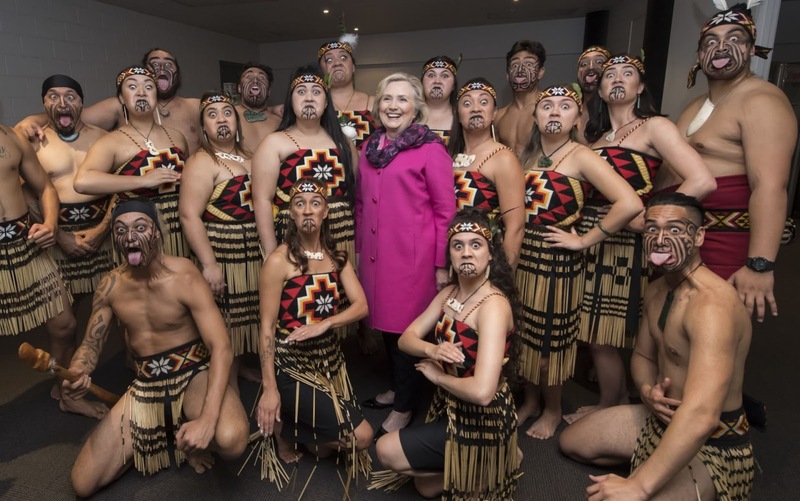 Hillary Clinton poses for a group photo with a Maori performing arts group called "Te Kapa Haka o Whangara Mai Tawhiti" who opened "An Evening with Hillary Rodham Clinton" at Spark Arena in Auckland, New Zealand. 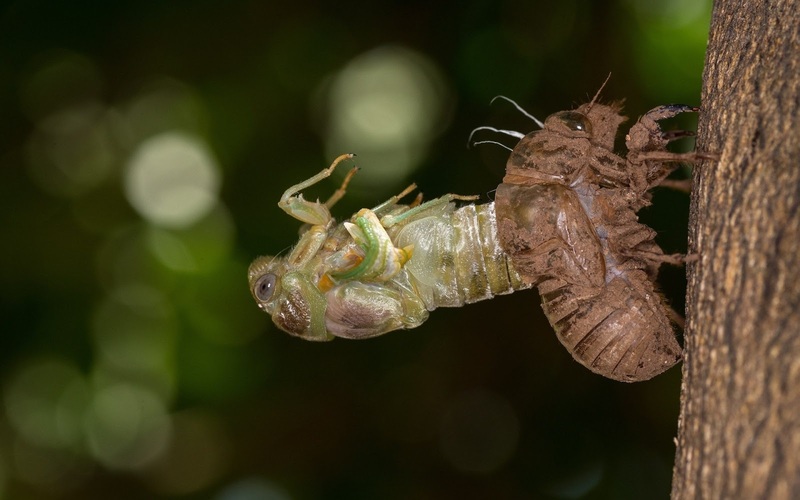 A cicada breaks free from its dirty shell and stretches its wings as it bursts out in its beautiful new green skin on Euboea Island, Greece. 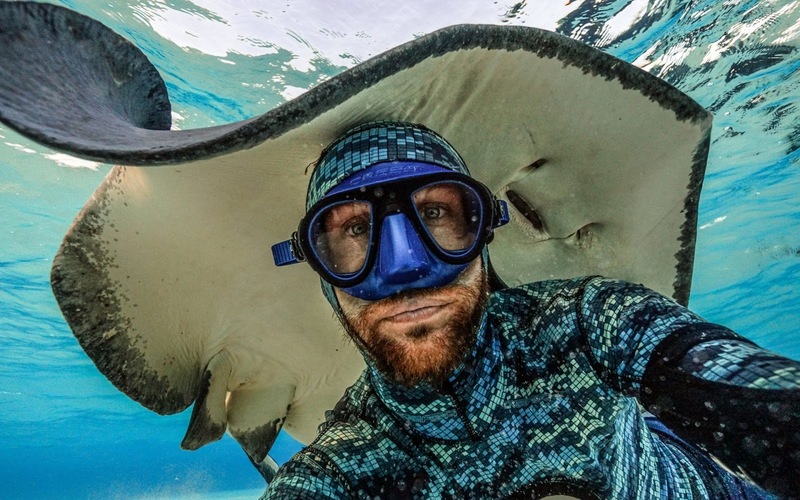 A photographer snapped the selfie of a lifetime with a huge ray at an incredible stingray city in Grand Cayman. 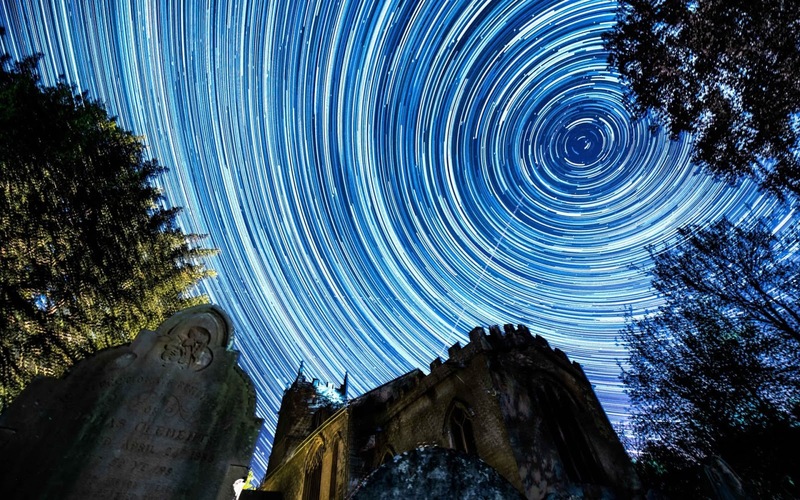 Shooting stars belonging to the Eta Aquarids meteor shower fall to earth in the night sky above St Barbara's Church, located at the eastern foot of Bredon Hill, Worcestershire. 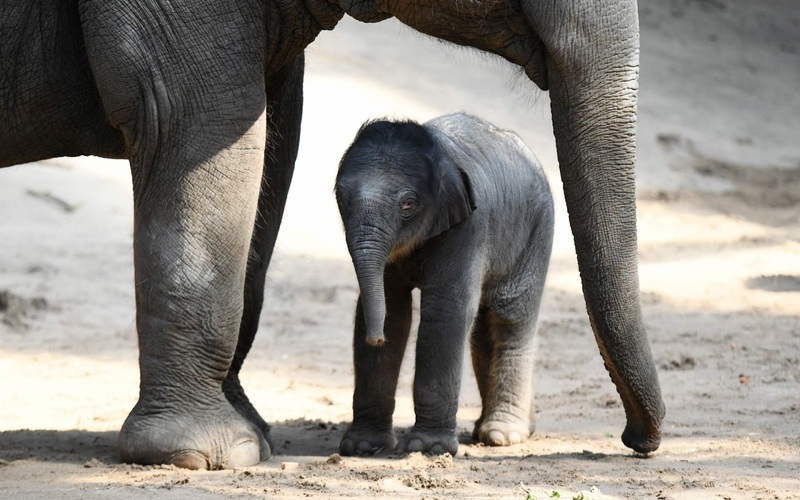 A newborn elephant calf stands beside his mother Shila in the animal park Hagenbeck in Hamburg, Germany. 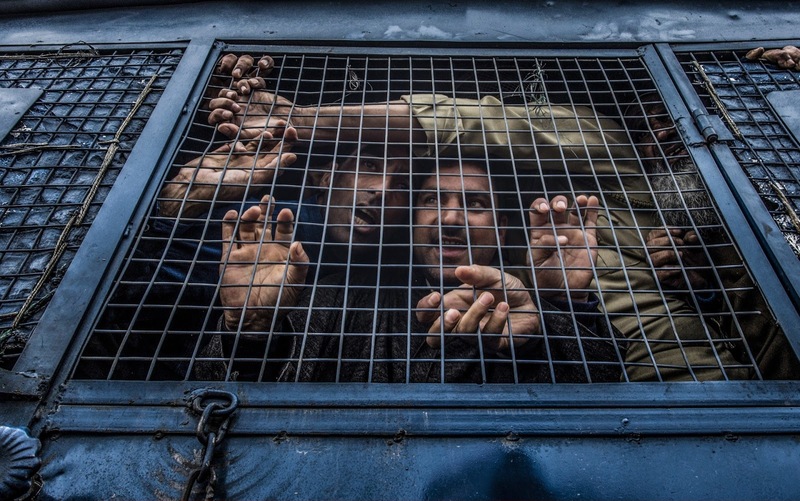 Detained supporters of Engineer Sheikh Abdul Rashid an Indian politician and Member of Legislative Assembly (MLA) and patron of Awami Ithaad Party, a pro-Indian political party, shout slogans from inside a police vehicle during a protest against the recent killings by Indian government forces in Srinagar. 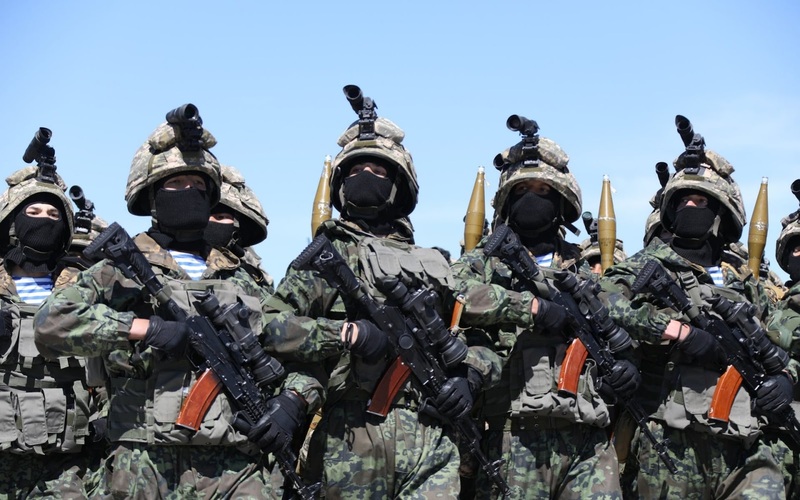 Soldiers march during a military parade marking the Defender of the Fatherland Day at Otar military base in Jambyl region, Kazakhstan. 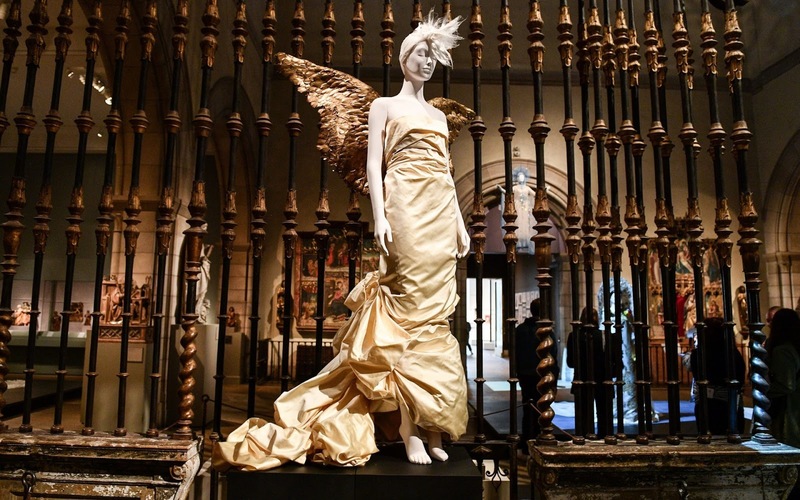 The Heavenly Bodies: Fashion & The Catholic Imagination Costume Institute Gala Press Preview at The Metropolitan Museum of Art in News York. 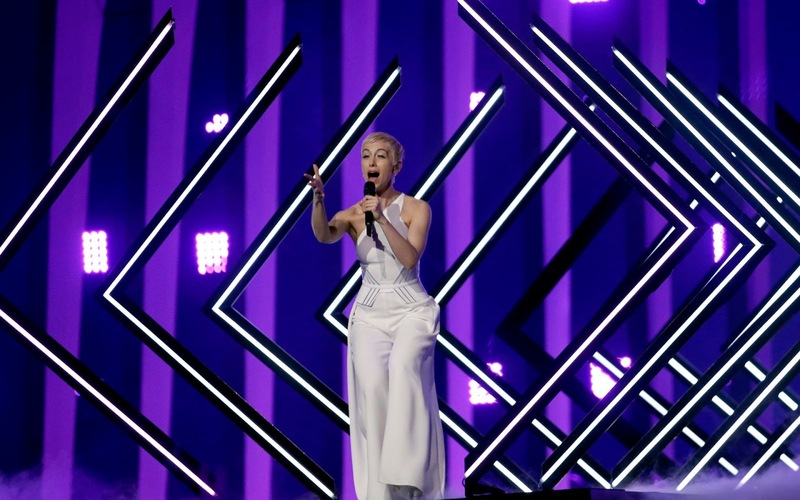 SuRie from Great Britain performs the song 'Storm' in Lisbon, Portugal during a dress rehearsal for the Eurovision Song Contest. 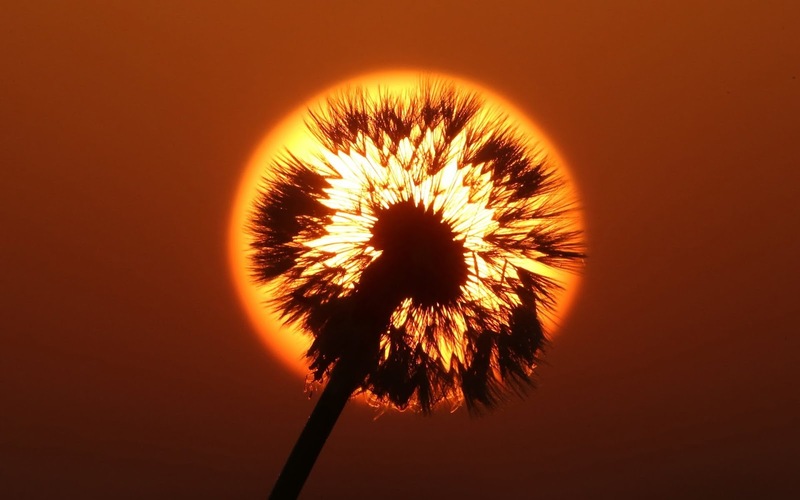 A Dandelion Seed head framed by the rising Sun is seen in Ditcheat, Somerset.